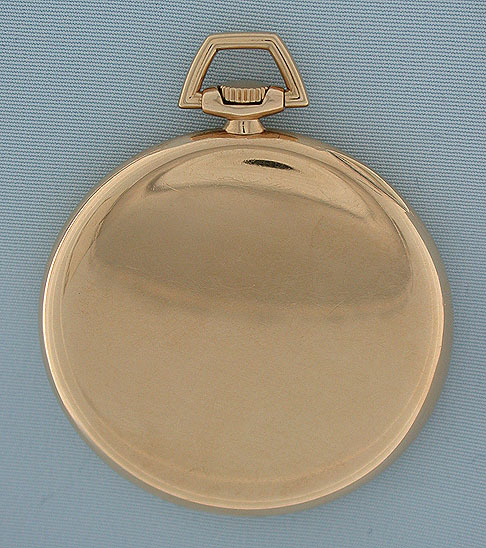 Fine International Watch Company 14K gold slim antique dress pocket watch made for Tiffany & Co. circa 1919. 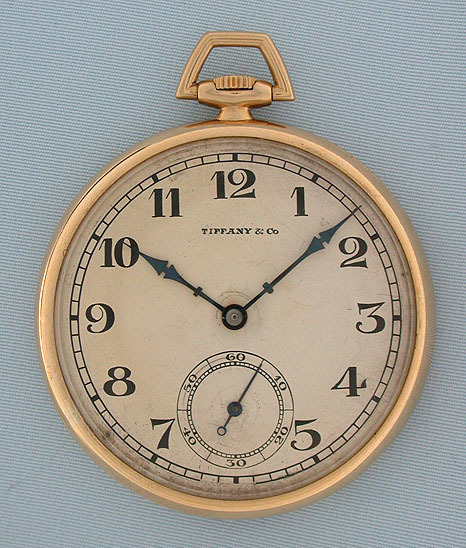 Silver dial with attractive patina and light signs of age, bold numerals, and blued steel hands. Slim substantial plain polish case. 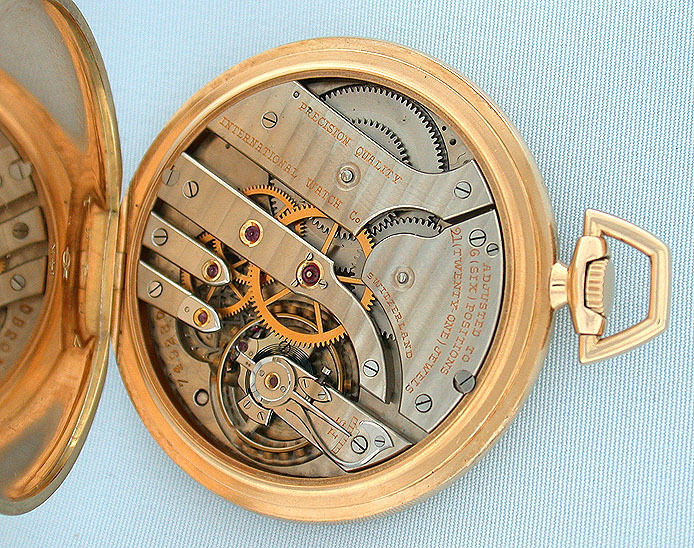 Fine 6 adjustment 21 jewel nickel movement marked "Precision Quality."